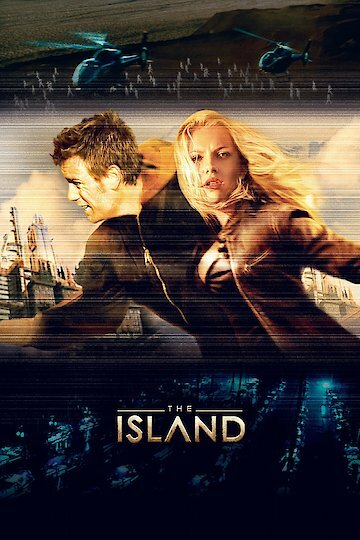 The Island is a movie that depicts clones who think they are human, which are isolated from society because their body parts are being used in underground government cloning. These clones were lied to and told that they are the last people left on earth. The earth was supposedly radio active and would kill them if exposed to its elements. These clones find ways to cope inside this underground institution. The clones are given one reason to live, and it's the hopes that they will win the lottery drawings. They are brainwashed in thinking that if they win the lottery drawing, they will be sent on a happy island for the rest of their existence. There is one man who changes the whole story when he has reoccurring dreams and he thinks it's from his former life. When he finds a bug, (which were supposed to be extinct) this prompts him to ask questions about his existence and wants to know the truth. He confides his questions and concerns to a worker in the facility, who tells him the truth. Truth is they are clones, replicas of humans, which are only made to replace human's body parts and the discarded and killed. After he uncovers this information out, he lets his close girlfriend know, her number just came up. He and sheescape this place of isolation and lies to seek out their owners and the truth. They find their owners and reveal the truth to them, in hopes of shutting this operation down and save thousands of cloned lives. The owners don't care, they have paid a lot of money for their clones, and in a scene know what is happening. Once the humans find out what these clones know, the humans let authorities know where the clones are. The government seeks out the lead to capture and destroy this clone creation. They end up with an elaborate plan to shut down the institution. The Island is currently available to watch and stream, buy on demand at Amazon, Vudu, Google Play, FandangoNow, iTunes, YouTube VOD online.